Well, hello there from the frigid South! I’m not kidding! We are SO not used to these single digits and below zero wind chills. I’m happy as a lark to stay inside and mostly cozy with my boys during this cold spell. We are living it up on soups and grilled cheese sandwiches. 🙂 We LOVE grilled cheese sandwiches. They are so easy and delicious and comfort food at it’s finest. 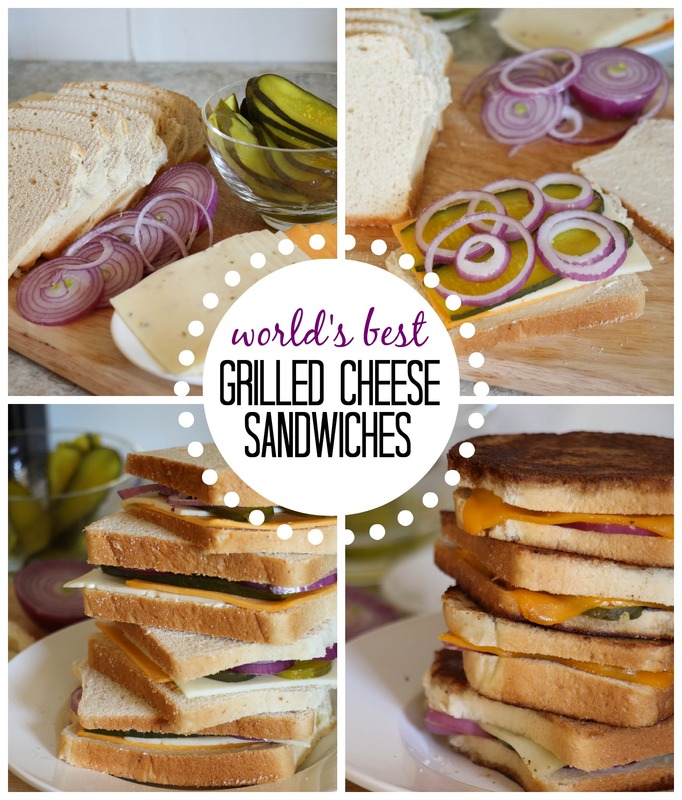 My husband’s family got us hooked on these “World’s Best” Grilled Cheese Sandwiches many years ago. The ingredients might sound a little questionable, but I promise you, you will not be disappointed. Prepare sandwich by lightly spreading mayo on the inside of two slices of bread. Layer cheese, onion slices and pickles. If the butter is soft spread on the bread and place on grill, panini press or in a skillet. Grill lightly. Serve with one of my fabulous soups! What is your favorite add-on to plain grilled cheese? Are you game to try one with pickles and onions? Looks good, well except for the onion. ;o) You should try pizza grilled cheese. Just spread a little marinara sauce on your bread and stack pepperoni slices and mozzarella. yummmmm! 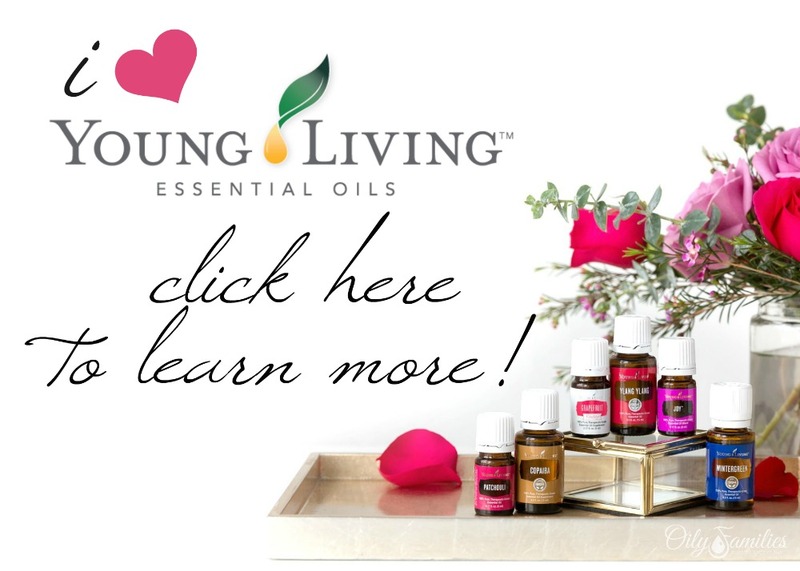 I will have to try this combo Myra! 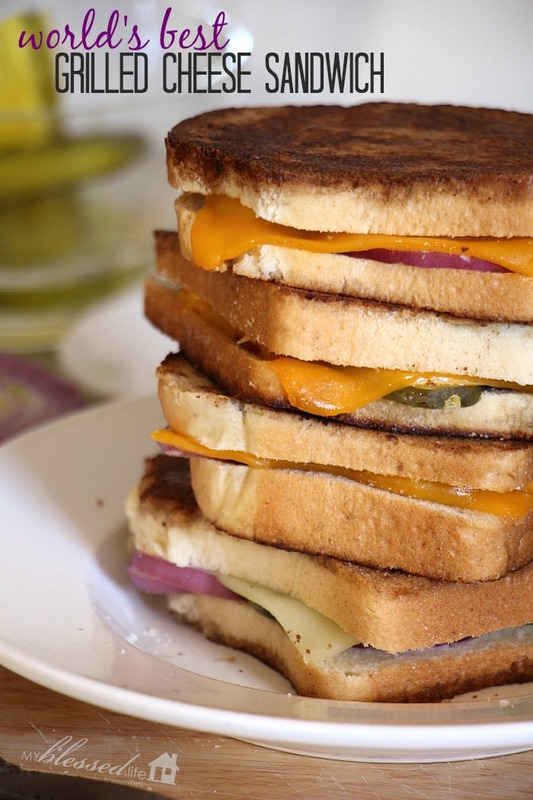 We love grilled cheeses…. my favorite add on is my homemade salsa. Mmmm! You’ll have to try it sometime 🙂 Take care! Boar’s Head Chipotle Mayo is a great spicy choice!